Though part of the City of Boston since its annexation in 1874, West Roxbury has a unique character and housing stock. 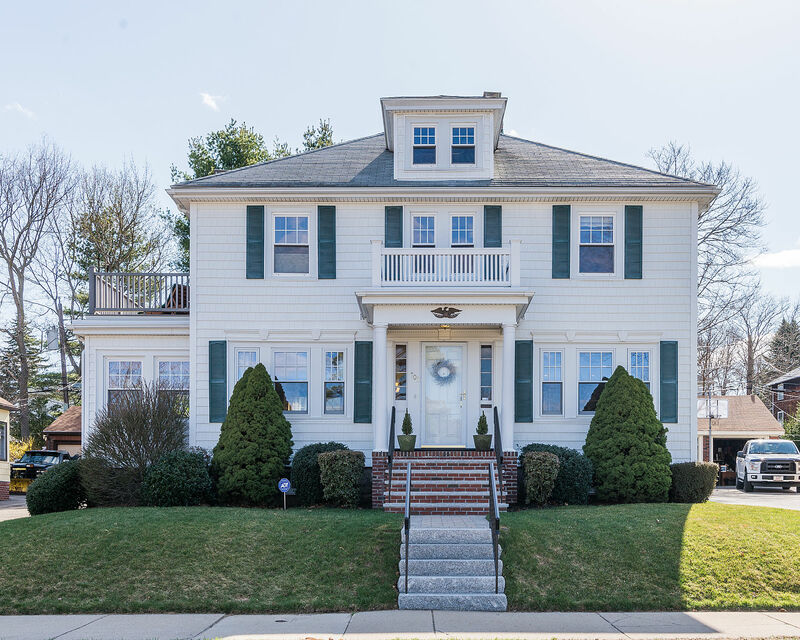 Originally a farming community West Roxbury has retained some of its rural feel with large parks, tree-lined streets and streets of single family homes. An experimental utopian community known as Brook Farm made its home here in the mid-1800s, and local figures such as Nathaniel Hawthorne, Ralph Waldo Emerson, and Margaret Fuller stayed there for a time. Bordered by Roslindale, Hyde Park, Dedham, Brookline, Newton, and Needham, West Roxbury offers the convenience of urban living and easy access to downtown Boston. Centre Street forms the primary commercial district of this residential neighborhood, and Millennium Park offers 100 acres of walking trails, ball fields, and picnic areas. Historically West Roxbury has been home to many of Boston's civil servants as well as residents from all walks of life. At Centre and Corey Streets, the Theodore Parker Church features seven stained glass windows made by the Tiffany Studios between 1894 and 1927. The original church, designed in 1890 by Alexander Wadsworth Longfellow, Jr., is now a parish hall. Henry Seaver designed the current church in 1900. Theodore Parker (1810-1860), an advocate of progressive religious ideas, abolitionism and women's suffrage, was minister of this Unitarian congregation from 1837 to 1846. In 1876, the Boston Public Library created a delivery station when it took over the collection of the West Roxbury Free Library. In 1896, it became a full branch of the Boston Public Library. In 1921-22, a new library building was built at the present site. In 1977, a devastating fire destroyed the neighboring West Roxbury Congregational Church and the land was deeded to the Trustees of the Boston Public Library for the purpose of an addition to the Branch building. On September 24, 1989, the new addition was opened to the public. The Roxbury Latin School, founded in 1645 and located on Saint Theresa Avenue in West Roxbury since 1927, is considered by some to be oldest school in continuous existence in North America, (for, unlike Boston Latin, which was founded in 1635, it stayed open during the Revolution since it was a Tory school) . The school's endowment is estimated at $143.8 million, and is the largest boys school in the United States. to Baker and Vermont Streets via Belgrade Ave and Centre Street, and the 38 also runs along Centre Street to Wren Street. Driving is more common in this less congested neighborhood, and I-95 is accessible to the west, just across the Charles River. The West Roxbury neighborhood of Boston is located in Suffolk county. West Roxbury's ZIP code is 02132.